Students intending to apply for the Oxford programme should consult the Deputy Head of Students, Meredith Blake. The UWA Law School and the University of Oxford Faculty of Law have entered a memorandum of understanding to give UWA Juris Doctor (JD) students the opportunity to apply for admission into the Bachelor of Civil Law (BCL) or a Masters in Law and Finance (MLF) at the University of Oxford. UWA JD students commence one academic year of full time study at the University of Oxford in the final semester of their UWA degree. Upon successful completion of the BCL or MLF students will be awarded both the UWA JD and the University of Oxford's BCL or MLF. The BCL and MLF are a highly acclaimed and unique graduate programme for the advanced study of law. 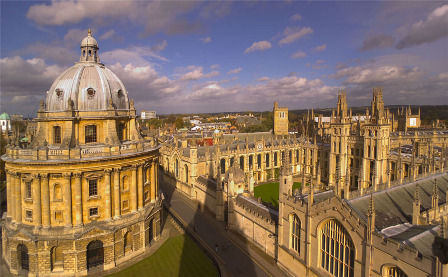 The degrees are taught over two semesters by outstanding academics through a combination of lectures, seminars and tutorials and allows students to have close contact with University of Oxford scholars and other gifted students from around the world. Prior to departing for Oxford, students must have completed 5 semesters of full time JD studies and undertaken all compulsory requirements. The successful completion of the BCL or MLF will be accepted in substitution for the sixth semester of JD studies at UWA. Students who are considering applying for the BCL or NLF should consult Meredith Blake, towards the end of their first year of JD studies. This will enable students to plan their second and third year studies to ensure all compulsory requirements will be completed prior to the final semester of the JD. University of Oxford Fees and Funding webpage. Students should peruse all the information available in the links above including the ebrochure for the BCL; the application process and the information regarding fees and scholarships.